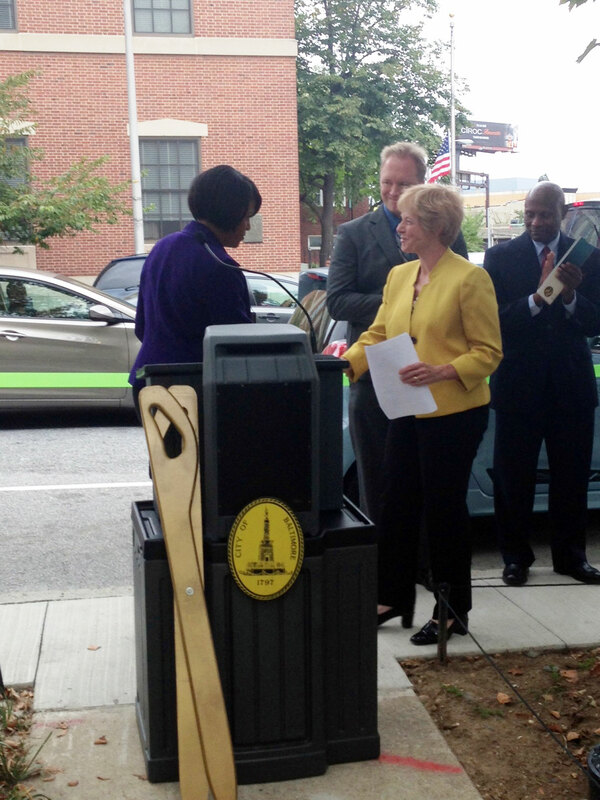 First curbside station to be placed on a Baltimore Street; Investment in charging stations, knowledge of the benefits of electric vehicles, strategic partnerships mean better air quality for Maryland residents. (BALTIMORE, MD) September 27, 2013 – Maryland Department of the Environment Deputy Secretary Kathy Kinsey and Baltimore Mayor Stephanie Rawlings-Blake, along with partners from BITH Energy and General Motors officially opened two electric vehicle charging stations at the War Memorial Plaza today. 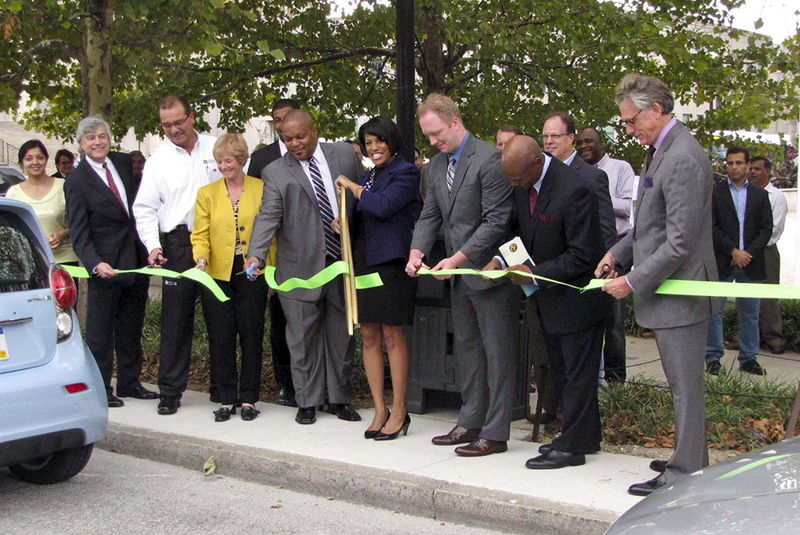 The stations are the most recent additions to the City’s electric charging stations and the first to be placed on a highly traveled public street in Baltimore. Both chargers provide a “level 2,” 240-volt quick charge. The spaces are open to the public. While visitors must pay for the parking spot, vehicle charging is free. The event also recognized National Plug-in Day (September 28 and 29), a nationwide celebration to heighten public awareness about the availability and benefits of choosing electric and hybrid vehicles. Placing electric vehicle charging stations in high-traffic locations such as the War Memorial Plaza helps to promote the use of electric vehicles among the public. Electric vehicles produce zero direct emissions from their tailpipe, reducing greenhouse gases and assisting Maryland in meeting its air quality goals and protecting the health of its citizens.Maryland is leading the charge to make electric vehicle charging stations more accessible for everyone. Through the Transportation Climate Initiative, Maryland and other East Coast states are working collaboratively to ensure development of a robust charging station network along the Interstate 95 corridor that will permit long-distance travel in electric cars throughout the region. There are currently more than 430 vehicle charging stations in Maryland. Grants from the Maryland Energy Administration have been responsible for the placement of more than 100 charging stations in Maryland since 2010. 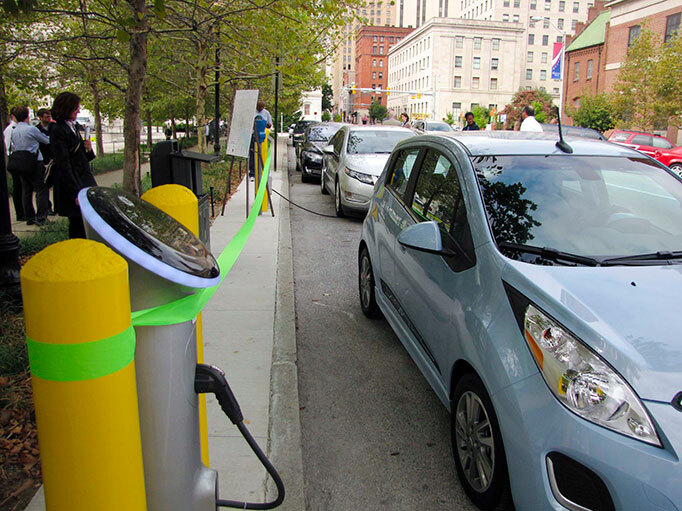 Baltimore City owns and operates 13 electric vehicle charging stations in municipal garages and other stations that have been sub-granted to local businesses and schools. Maryland has seen an 800 percent increase in sales of plug-in hybrids and full electric vehicles from 2011 (227 purchased) to 2012 (1,988 purchased). 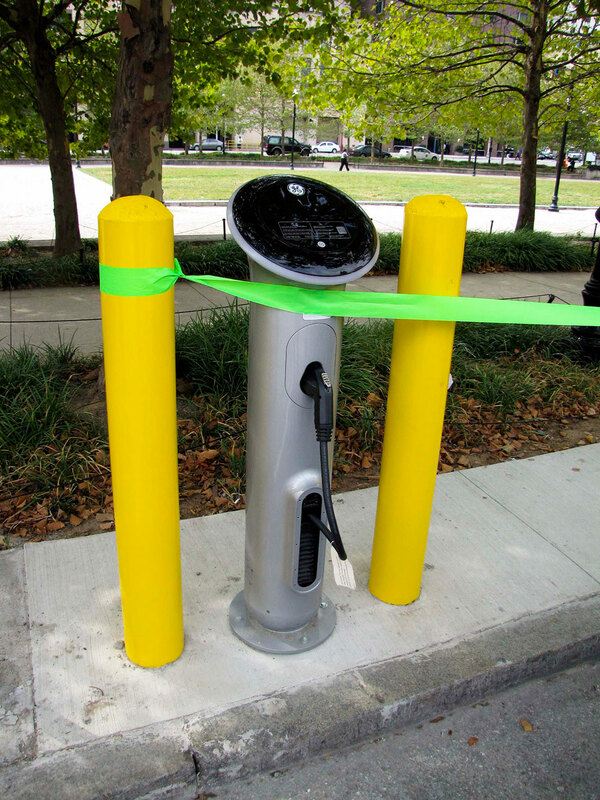 Governor Martin O’Malley included $1 million in capital funding in his FY 2014 budget for installation of charging stations at MARC and Metro Stations in the State. See additional photos on the MDE Flickr page. Our mission is to protect and restore the quality of Maryland’s air, water and land resources, while fostering smart growth, a thriving and sustainable economy and healthy communities.